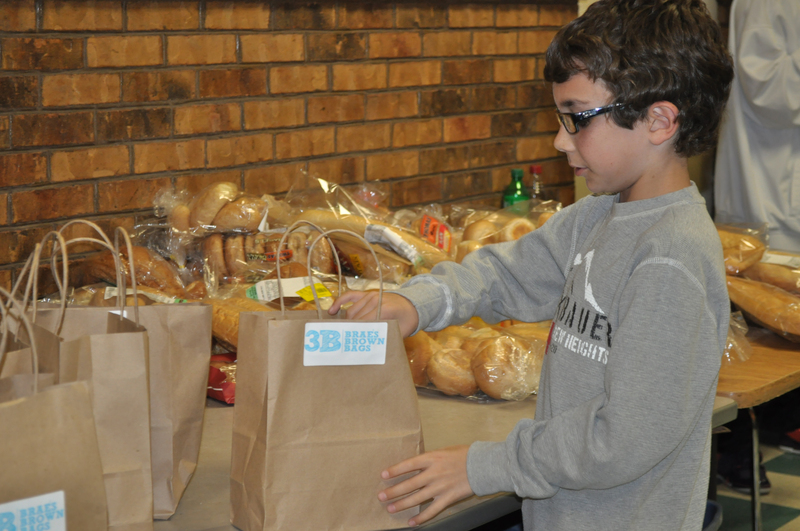 Yesterday I brought 3B bags to the Emmanuel Dining Room. My Dad, stepmom and little brother Michael went this time, too. There were a lot of people at EDR this time and we handed out 83 bags in about 20 minutes which is probably the fastest time for that many bags ever. It was great to be able to help that many people. There were more kids this time, too. Luckily we packed some of the children bags which included books for the kids. I wish we had packed more. I saw one boy read his book while he was sitting at the table to eat. Later he ended up getting up and coming over to talk to me. So we became friends. He asked me how long it takes to pack the bags. I told him not very long. He decided to help me hand out bags and that was nice. Also I saw my friend Tony again, he helps to organize things. He always asks me how I want to hand out the bags. Brother Miguel also came which was a surprise because we knew he had a memorial service to attend. It was good to see him. It was sad to see kids not wearing coats. My Mom and I are going to look through our closet and see if we have any extra coats we can bring next time. So I’m already thinking about the next time I can go help out. You should be sure to tune into Fox News tomorrow morning because I will be on Good Day Philadelphia to tell them all about 3B.